Peruse rental ads in many major cities and you’ll see that times are changing. Smoke-free housing was once considered progressive, but now it’s commonplace. There was a time when “green” meant a property was energy efficient. Now, some landlords are forced to navigate vague rules legalizing recreational marijuana use. A rift has emerged between pet-friendly tenants and no-pet landlords, and roommate rentals have landlords seeing double — and triple — as they tighten leasing policies in an effort to minimize future income loss. These trends are largely the result of an influx of millennials — twenty and thirty-something renters — who now comprise one of the largest tenant demographics. A glut of applicants is pushing rents sky-high in some areas as demand tightens. And landlords are trying to adjust. Of course, young people aren’t the only ones who use recreational marijuana, but it has become something of a cultural staple in cities that have legalized its use. Coincidentally, these major metro areas, like Denver and Seattle, are also hot job markets, which has sparked a huge influx of younger workers who have the ability to pick up and follow the work trail. From a landlord’s perspective, marijuana use can pose problems, including increased complaints and property damage. Then, there’s “wax” production. The Denver area has experienced so many apartment fires from tenants who were processing marijuana into a concentrated form using flammable products like butane that special legislation has been proposed to prohibit the practice. The trend is for landlords to prohibit the smoking or growing of marijuana in rental properties. In all likelihood, that is a legal restriction that can be placed in the lease because the use and possession of pot is still illegal on the federal level, or because local statutes give property owners the option. If your rental property is in a pot-friendly state, check with a local “green” attorney and find out what the best policy is for you. It is clear from recent studies, including one just conducted by Trulia.com, that the number of pet-owning tenants is greater than the number of landlords who allow pets. Despite millennial renters’ flexibility in relocating for jobs, there is every indication that these tenants also are pet owners. With more applicants responding to vacancies despite the sticker-shock, many landlords have become acutely selective. But restricting pets as a way of minimizing income loss can backfire. Denver and Seattle were on the top five pet-friendly cities in that Trulia survey. Renters there and other places can find an avalanche of newly-constructed apartments that tout pet-friendly, seizing on the trend and pleasing millennial renters despite higher rents and pet charges. Meanwhile, private landlords may not be closing leases as quickly at the same rent without the pet amenities. The problem is exacerbated by the fact that many condo investments are ruled by associations that have out-of-date pet rules. Over time, it may become more difficult to compete without risking longer vacancies. 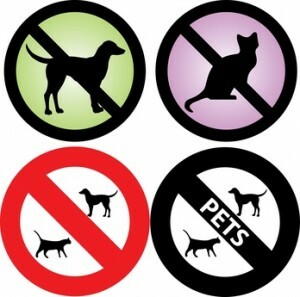 Landlords and property managers who restrict pets no doubt are being inundated with requests to make exceptions. Stating “no pets” in a rental ad is not creating much of a firewall. That’s because many landlords are making exceptions on a case-by-case basis and apartments seekers push for flexibility. If you want to remain pet-free and stave off inquiries from pet-owning rental applicants, consider a few extra words indicating “no exceptions made”, or passing the buck and blaming the strict policy on the HOA. Allowing pets in rental properties is no walk in the park, either. Crafting a pet-friendly lease can take some effort, as it seems one pet is never enough. Millennials pair up with others who have pets. Pet limits, noise restrictions, and clean-up duties must be clear in order for pet owners and other residents to live in peace. Despite pet policies, property owners are required to allow companion animals for tenants with disabilities who have been prescribed the companion. That means, ultimately, there will be animals in the building, and it’s easier to adjust if you plan ahead for the contingency. Rents are spiking, and major cities have seen unprecedented growth in the past two years. Unfortunately, while millennials are finding jobs and flooding the rental market, wages are not necessarily keeping pace with these enormous rent increases. That means many renters are forced to go in together on a unit. Millennials are far more likely to team up with roommates they barely know, like someone they’ve met over social media. Add in the higher likelihood that one of the occupants will need to terminate early for a job transfer or other life change, and roommate rentals quickly get complicated. Not only are the laws regarding roommates tricky for landlords, younger tenants may have little experience outside of college dorm rooms. For instance, tenants may not realize that if one tenant moves out, that can cause a termination of the entire lease agreement, which means the others have to leave, too — or work something out with the landlord. Make sure you collect a rental application on each proposed occupant, and run a tenant background check. This is a far safer policy than allowing a “lead” roommate to sublet to their friends. Your lease agreement must be appropriate for roommates. It should have multiple signature lines, and include language about joint and several liability. Work with your attorney in advance if you have any questions. Every adult occupant should be a party to the lease agreement. Be careful what you agree to when a roommate wants to move out. Sublets are risky, and many landlords limit or prohibit the practice. The individual policy may rely on local law, so be careful with this section of the lease. If a tenant is allowed to sublet, or if they bring in a long-term guest, that person should be subject to a tenant background check to avoid liability or income loss. The practice of subletting to vacationers over the Internet has exploded in popularity, especially in larger cities. Be aware of the dangers of nightly rentals when your tenant is keeping the policy a secret. Chances are, those strangers in your unit were not screened. In the U.S., age discrimination protects advanced age, not youth. So while you are adjusting to younger renters, keep in mind that retirees and families are still seeking rental housing. Don’t get swept up in the millennial revolution. Stay away from chilling language, like stating a unit is perfect for young professionals. 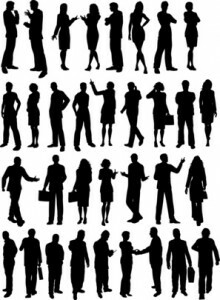 Occupancy standards for non-related individuals differ from families. So, that one-bedroom apartment you are advertising for a single may work for the expectant couple who are renting for a year. Remember, when drafting a rental ad, describe the property and not the ideal tenant. Leave it up to applicants to decide if it’s a perfect match. Can a landlord tell their adult tenant that they are not allowed to have a housemate when this was not communicated in advance (or is this even legal in general to tell an adult that they are required to stay single and never live with someone else if they want to live on a property?!). this seems absolutely inequitable and I’ve never had the experience in 20 years of renting until this year (after having already signed a lease and moved in somewhere) that I have been told when asking about the procedures for adding someone else to the lease (on a two bedroom house!) that under no circumstances can I ever live with someone in my expensive two bedroom rental…. Yep the landlord has a right screen anyone that moves into the house. Its his house not yours.